The Complete Employer ACA Compliance Manual: What Makes Our Products Unique? 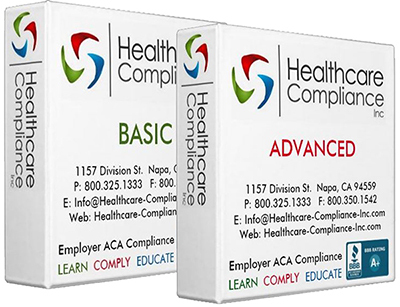 | ACA Reporting Service | Obamacare Compliance | Health Care Compliance Inc.
How HCI compares to competitors who have written books on the ACA? updates. For instance, between November, 2014 and February, 2015 the ACA was updated eleven times on eleven different ACA topics or provisions. In addition, nine new forms were created or updated on 4 different ACA provisions. COMPLIANCE – The Affordable Care Act (ACA) requires strict compliance on those employers who offer Employer – Sponsored Insurance (ESI). The ACA identifies nearly 40 provisions that may be subject to penalties for non-compliance. As stated above, the HCI Manual includes 12 months of “real time” legislative updates. This feature reduces the chances of a business relying on outdated legislative information when completing one of nearly 109 regulatory forms or notices created by the ACA. TECHNOLOGY – Providing our purchasers with ongoing support for a law that changes monthly, if not daily, requires the use of advanced client relationship systems and communication systems that are both automated and interactive. Some of the media tools we incorporate are Podcasts, On Demand Tutorials and Educational Programs, Live Workshops and Webinars on a variety of ACA topics,Smart software systems with automated functions. MEMBERSHIP in Month 13 – Continue to receive valuable ACA updates and all of the other benefits HCI MEMBERS are entitled to for a low monthly fee. 32 Days Left to Distribute Form 1095 to your Employees! Can you prepare Forms 1094 and 1095?